The American Research Center in Sofia is housed in a four-level building at 75 Vasil Petleshkov St. in the Hadzhi Dimitar neighborhood of Sofia. The building contains the ARCS library, staff offices, a seminar room, a lecture hall, and a residence for visiting scholars. The Center is open to the public, Monday through Friday, from 9am until 5:30pm. Taxis are inexpensive from the center of Sofia (ca. 5 leva including tip). We are a 25 minute walk from the main campus of Sofia University. To reach our building by public transportation, it is easiest to take trolleys 2 and 4 to the last stop in the Hadzhi Dimitar neighborhood, and then walk along the trolley line towards the first stop of the trolleys. 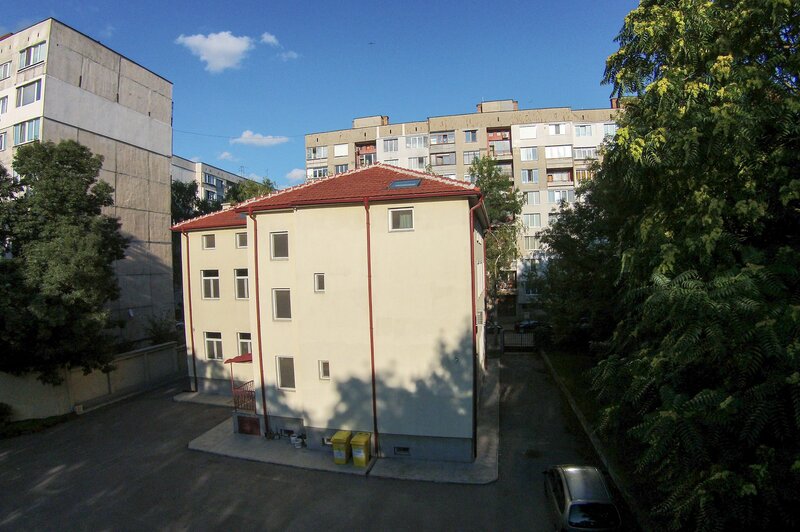 Our building is right after the intersection of "Vasil Petleshkov" and "Nikola Voynovski" streets. · Since 2008 the building houses the ARCS library, staff offices, a seminar room, a lecture hall, and a residence for visiting scholars. The Center is open to the public, Monday through Friday, from 9am until 5:30pm.